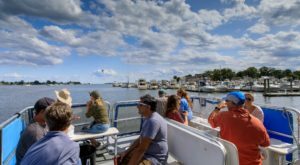 There are plenty of places to go exploring in Connecticut, but if you like history and things that are a little bit odd then there is a short hike that you need to take. 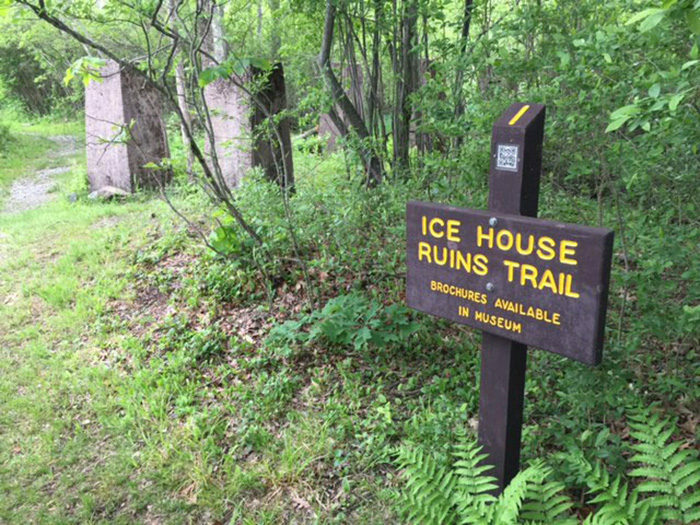 This ice house ruins trail will take you on a journey back in time while allowing you to take in breath-taking natural surroundings. 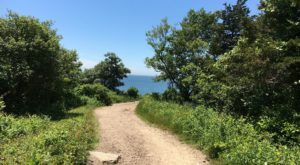 It is undoubtedly worth a visit to the Litchfield area to take in this hauntingly beautiful path. The Ice House Ruins Trail runs along a portion of the yellow blazed Lake Trail at White Memorial Conservation Center. 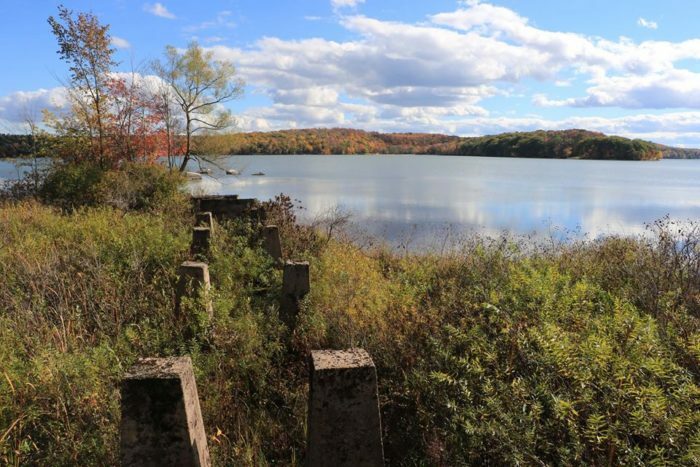 The trail is approximately one mile long and takes you through the ruins of a once vibrant ice harvesting operation. You can find a self guided brochure at the museum or use your smart phone to to access QR code descriptions on each guide post during your walk. The Lake Trail at White Memorial Conservation Center has an overlook of the north bay of Bantam Lake where the ice was harvested. 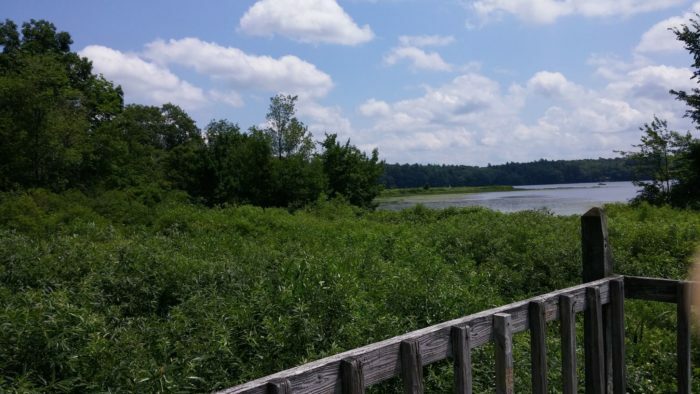 Bantam Lake is Connecticut's largest natural lake and occupies 947 acres. 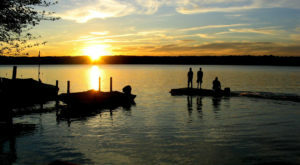 Once a place of thriving business, the lake is now used mostly for recreation. Before the invention of the refrigerator, ice was a necessity to keep ice boxes cold enough to preserve food. 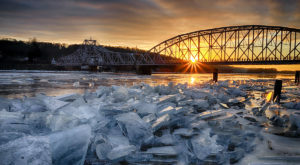 Ice was harvested from many lakes and ponds in New England to fulfill the demand. 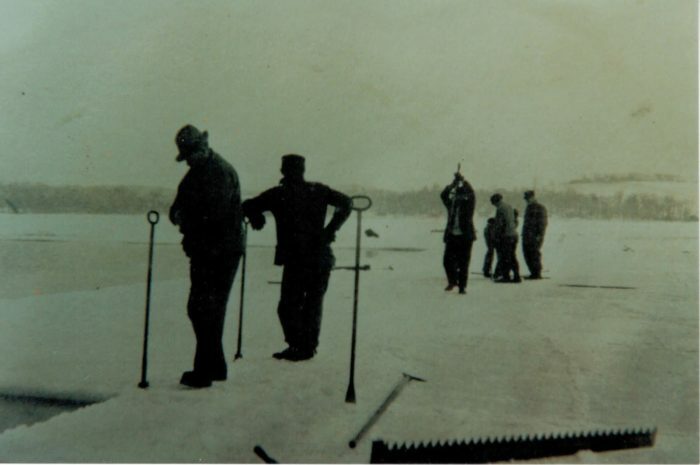 The largest commercial ice harvesting operation in Connecticut occurred on Bantam Lake from 1908-1929. 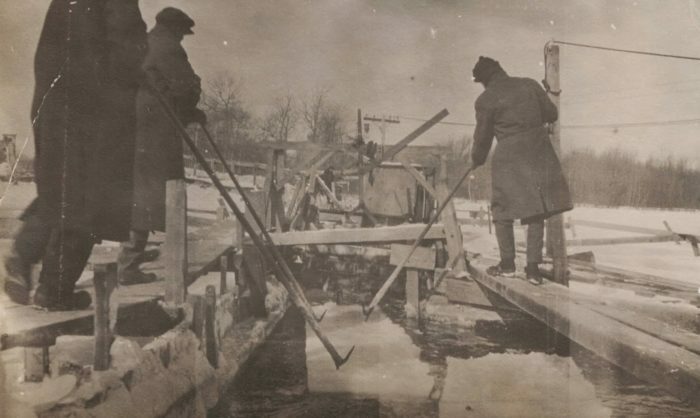 The task was challenging and back breaking and workers used a variety of tools and mechanisms to move the ice to the ice house. 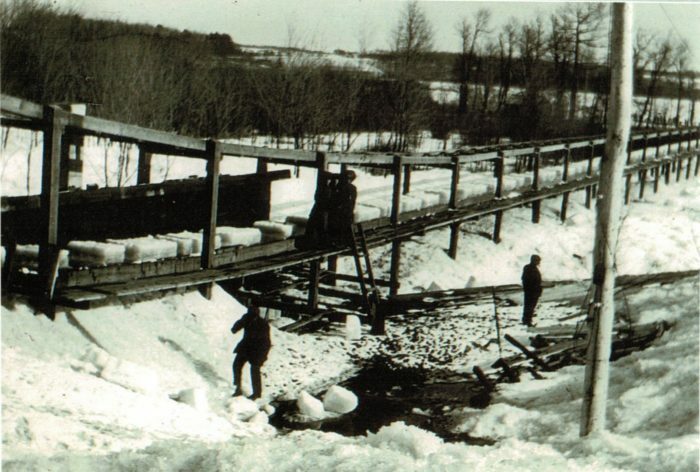 After being cut from the lake, ice blocks were pushed towards a conveyor belt system where blocks are moved towards the ice house. In the 1920s, the ice workers were paid 60 cents an hour and worked 7 days a week through the winter to fill the ice house. The 300 lb. blocks of ice traveled up the conveyor belt to the ice house. The conveyor belt was supported by large stone pillars and powered by a 100 horse power engine. It spanned 1,000 feet in distance. The massive ice house measured 700 feet by 125 feet. It could hold up to 56,000 tons of ice if packed to capacity. It takes more than 40,000 acres of harvested ice to fill the ice house. To keep the ice cold, the walls of the ice house were double walls built one foot apart. The space in between was then packed with sawdust or wood shavings for insulation. The floor itself was one foot off the ground to let air pass underneath. 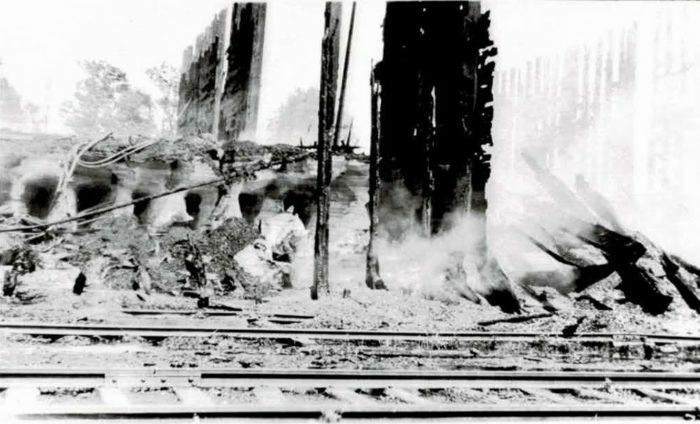 In August of 1929 there was a terrible fire that burnt most of the ice house down. The cause of the fire was never determined, whether it be a case of arson or spontaneous combustion from the sawdust at the sight is unknown. 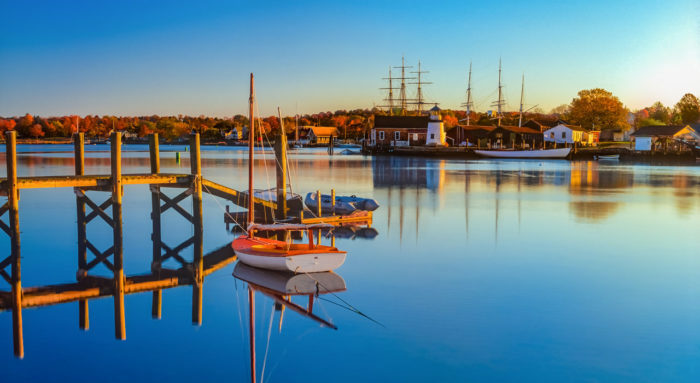 The following year, Southern New England Ice Company sold its land to White Memorial Foundation. What remains today of the ice harvesting operation are the ghostly stone pillars that still stand in stark contrast to the natural setting around them. You can only imagine the massive operation that used to exist on this land. 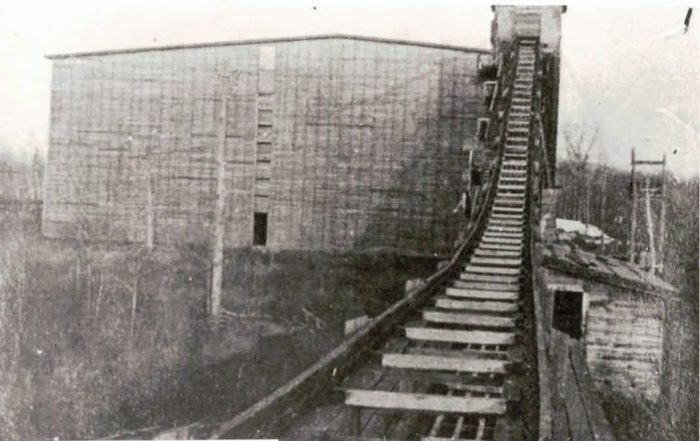 The huge ice house, incredible conveyor belt system, and even a railway to transport the ice to nearby towns. 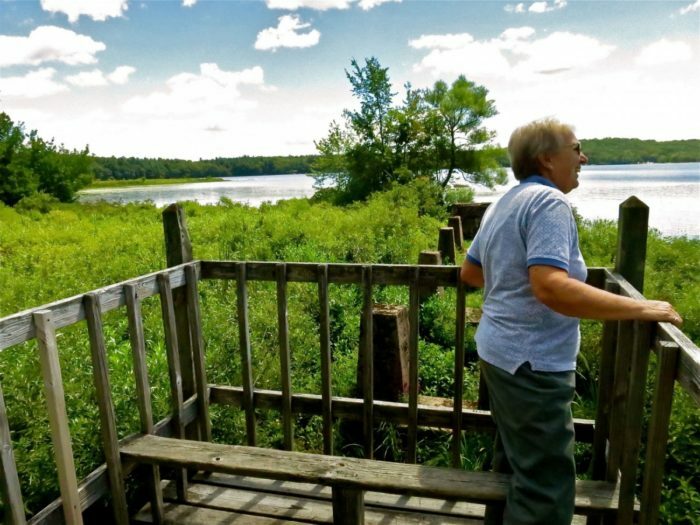 There is a wood observation deck built on top of some of the remaining stone pillars that offers a marvelous view of the lake that once produced all of the ice. 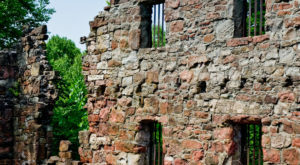 The ice house ruins trail is a short hike that offers a nostalgic and almost mysterious view of a tiny slice of Connecticut's history. 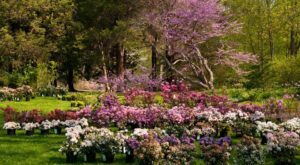 White Memorial Conservation Center is located at 80 Whitehall Rd., Litchfield, CT 06759. 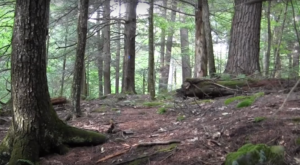 Have you ever hiked the ice house ruins trail? Or visited the White Memorial Conservation center? If not, you can learn more about this hidden gem here. 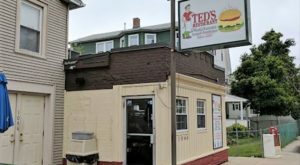 To view some other incredible ruins in Connecticut, check out this previous article.